Sunil Amrith is a name you should know. The Harvard University professor and historian, whose work has spanned the topics of migration, public health, empire and the environment, was one of the innovators named as a recipient of the MacArthur Genius Grant this October. The MacArthur Foundation grants its annual Fellows $625,000–”no-strings attached“, in the Foundation’s own words–to continue the boundary-pushing work they do in their respective fields. Amrith has been adding new perspectives to established historical narratives of South Asian migrations and diasporas in the 19th and 20th centuries, most recently in his 2013 book Crossing the Bay of Bengal: The Furies of Nature and the Fortunes of Migrants. While many history texts, and contemporary media, about South Asian emigrations and immigrations focuses on the journeys people in the subcontinent charted westwards, Amrith points us firmly in the other direction in this book: “Far more people crossed the Bay of Bengal than any other part of the Indian Ocean. Of the nearly 30 million people who left India’s shores between 1840 and 1940, all but 2 million of them traveled back and forth between eastern India and just three destinations: Ceylon, Burma and Malaya.” As he explains in vivid detail, those migrants, which included thousands of plantation laborers, joined what we now call “cosmopolitan” worlds of many languages, cultures, ideas, and diverse peoples around Southeast Asia. Amrith has also brought light to another neglected aspect of migration histories in the region: the landscapes migrants traversed, and the sometimes devastating effects wrought upon the environment by those movements of people. I’m sure you’ve been asked many times already, but now that a bit of the shock has worn off, how are you feeling? It’s still quite a shock! I’m looking forward to having a little more space to think through the implications once the initial flurry of activity following the announcement wears off. Have you had a chance to think about what possibilities the MacArthur will open up for your work? I am very excited by the possibilities that this incredibly generous award will open up for my work, and hopefully also for the work of colleagues and collaborators. For the time being, I shall continue with the book I am writing, which is an environmental history of water in India. I’m close to finishing the book. Once I do, it will be an ideal time to pause and take stock and to dream up new projects that will be aided by the MacArthur fellowship. I would imagine that the basic themes of my work—in particular a focus on migration, and on environmental history—will continue, but I would love to think about new ways of telling those stories. It has long been a dream of mine to work with a documentary filmmaker, for example, to present some of these ideas in a more visual medium. I’m hoping that the MacArthur, by bringing my work to new audiences, will also open up new collaborative possibilities. Your focus on regional migrations, their transcendence of traditional interpretations of diaspora, and the ebbs and flows of restriction on the movement of people and cultures is particularly relevant for our present moment. But there is also a strong thread of environmental history in your writing; In Crossing the Bay of Bengal you gave the natural environment itself a personality. I didn’t initially expect that my work on the Bay of Bengal would have an environmental dimension. It began very much as a book about migration. My interest in the environmental history in some ways emerged from the research directly. I was struck, for example, that in the oral history testimonies I was collecting from older people on Malaysia’s plantations, that they would very often tell the stories of their migration from India in terms of the landscape—both the landscapes they left behind, and the landscapes that they created through their labour in Southeast Asia. That soon broadened into a much wider consideration of environmental change. And it was from a desire to do justice to the environmental history, in all of its complexity, that I embarked on the work that is now feeding into my current book. 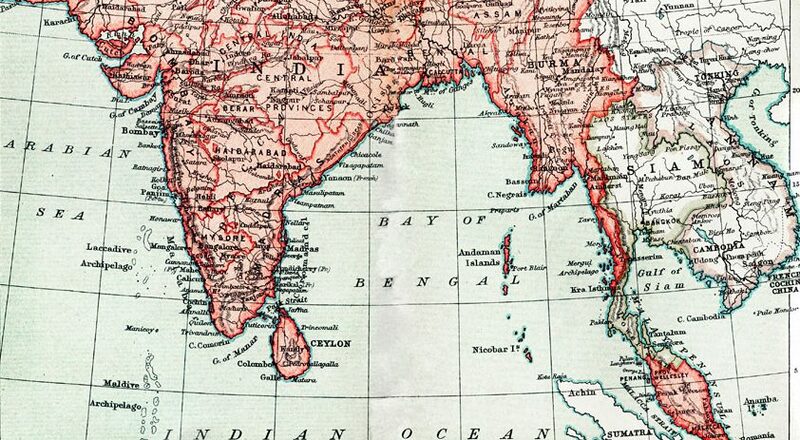 A colonial era map of the Bay of Bengal region. Image Source: University of South Florida. Now you are working more explicitly on the subject of climate change. Can you expand on that project? I am writing a history of modern South Asia from the perspective of water—rains, rivers, seas. A deep concern with climate change and its likely effects is undoubtedly one of my motivations in embarking on this project. I am concerned with what historical perspectives can contribute to our current debates on climate change. While clearly climate change is a planetary phenomenon, I remain interested in local and regional perspectives on climate and water, and local and regional manifestations of environmental change. The monsoon, for example, is such a central part of South Asia’s economic, political, as well as cultural history. Even before the acceleration of anthropogenic climate change in the twentieth century, South Asia’s farmers, fishers and urban residents have dealt with the risks of an unpredictable climate. We can learn from their experiences. In what ways do you think a historian can contribute to our understanding of climate change and the need for global action? One of the contributions that historians can make, I think, is to remind us that planetary climate change is part of a much larger set of environmental transformations and crises that we face, some of them relatively recent, others much slower and taking place over a longer time scale. Quite a few historians have been named MacArthur Fellows in recent years, which would suggest the vital contemporary importance of ‘doing history.’ Yet at the same time I think the general public’s perception of history doesn’t attach the same relevance or excitement to the field. History is unusual among the humanities and social sciences in having a wide non-academic audience: think about the popularity of the History Channel and other historical documentaries on television. On the whole, the sorts of histories that appeal widely are war histories and biographies, though there are of course many exceptions to that. 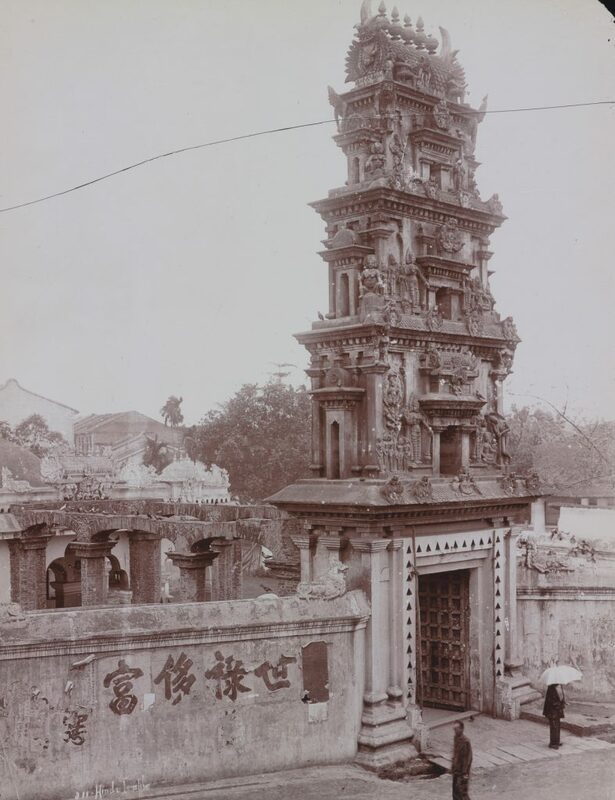 There is no denying that there is a sometimes sense of disconnection between popular histories and the kind of research being done by academic historians, which is often addressed to other specialists. This is natural enough; just as in any other field, technical language in History can aid understanding and develop knowledge. But I think historians are in a fortunate position not to have to choose. In my own work, for example, I distinguish between my academic articles, which I write primarily for other specialists in the field, and my books, which I hope will reach a wider non-academic audience. Do you feel the Fellowship confers an special ability, or even a responsibility, to tackle that divide? I think digital media have opened up vast possibilities for historians to reach a wider public. There are many wonderful historians on Twitter, for example, who have embraced that medium as a way to find a wide audience for their very sophisticated research, some of them have thousands or tens of thousands of followers. And there is no shortage of books by academic historians that are deeply researched and scholarly, and also beautifully written and able to provoke public discussion. To take just one recent example, my Harvard colleague Elizabeth Hinton’s recent book on the history of mass incarceration in the United States is a work of stunning research that also speaks to some of the most pressing political issues in this country. I will certainly take the MacArthur Fellowship as an inspiration to continue to try to bring my work to as wide an audience as possible. My inclination is to respond to the Fellowship by being as outward-looking as possible.